Cornelius Comegys(1858-1938) came from a well-known family in Maryland. He was a member of the Lackawanna Bar Association and was an assistant district attorney. Comegys also wrote a few books such as The Mayor's Court of Scranton. 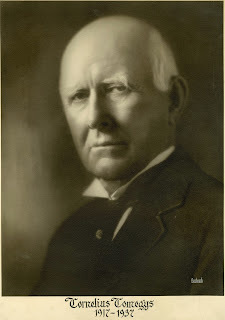 He was a member of the Scranton Public Library board of trustees from 1917-1937 which is where this photo was taken.